As promised on our Instagram @fashionbeautysisters, the details on this outfit! Read below for my commentary on these fab heels!!! I love these shoes!!! Not only for the style, but they are surprisingly the single-most comfortable pair of heels in my entire closet! NOT KIDDING. Didn’t even need to break them in. They don’t have a platform, which typically makes a heel less comfortable, but these are pure perfection! I definitely recommend the Guess “Lala” shoe! 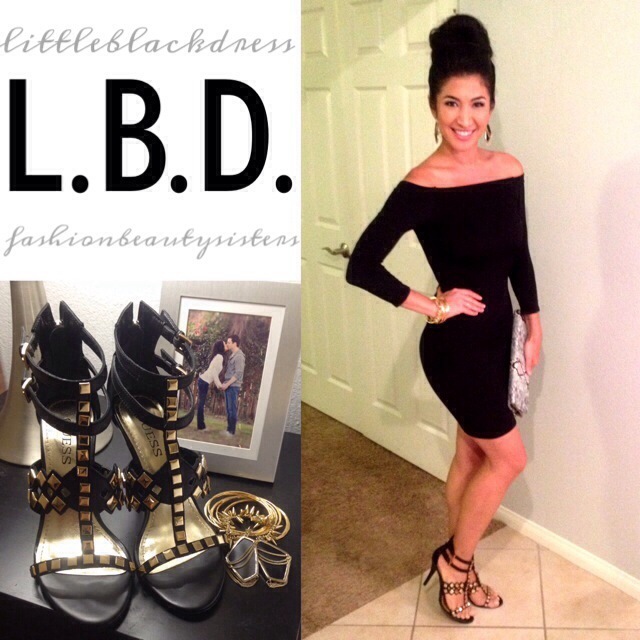 Dress up your LBD any way you please, because this classic style is sure to be a hit! !